How do I redeem my Surround Pro upgrade code? To redeem your Surround Pro upgrade code, you'll need to first install both Razer Synapse and the standard version of Razer Surround. Once you have both installed, you can login to Synapse and upgrade by clicking the green dot at the top of the main Synapse window by your email address. By clicking this, the software will prompt you to enter your activation code. Why do I have an additional sound device in my Windows Sound Controls? Why is the "Razer Surround Audio Controller" set to default audio device when I turn surround ON? Many games and applications that support 5.1 or 7.1 channel audio only output surround audio when a 5.1 or 7.1 channel device is connected. Typically, these games output the audio in the same format (stereo/5.1/7.1) as the configuration of the default output device. 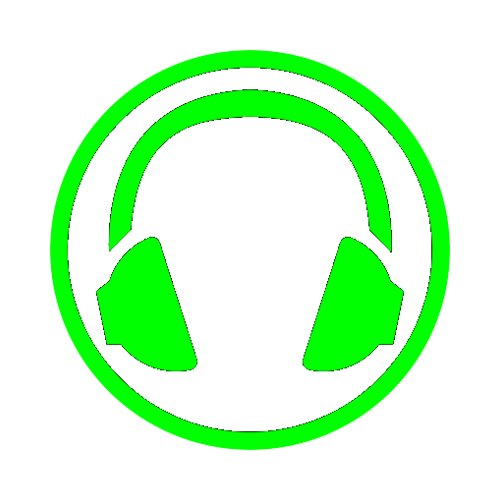 Razer Surround creates a Virtual 7.1 Audio Device (this is the second device you see in your Windows Sound Controls) in order to extract 5.1 or 7.1 positional audio from the game, converts it to virtual surround that plays through your stereo headset. I can't select my 7.1 audio device (or a certain audio device) on my Razer Surround device list. Razer Surround uses state-of-the-art technology to retain the positional audio of 5.1 and 7.1 surround sound in a standard stereo format. Obviously, this conversion is not applicable to headsets that are already able to output 5.1 or 7.1 audio and therefore these devices are not supported. You can find more details regarding Razer Surround by visiting http://www.razerzone.com/surround. If you see a stereo device which should work with Razer Surround but still shows up as disabled in the list, please reach out to our support team at: http://www.razersupport.com/contact-us. How do I upgrade Razer Surround? Razer Surround says I'll get an upgrade activation code, but I didn't. Why? Check the "Spam" folder for the e-mail ID registered with your Razer account. Add our e-mail address (donotreply@razerzone.com) to your e-mail safe senders list. If you still don't see an e-mail with the activation code, please contact our Support Team at http://www.razersupport.com/contact-us. I downloaded Razer Surround and made an account, but I can't log in. Please activate your account by clicking on the link in the confirmation e-mail that was sent to your e-mail address. You will be able to log in after your e-mail address is verified. If you still cannot log in, please contact our Support Team at http://www.razersupport.com/contact-us. Headsets connected to the Razer Edge dock are not selectable in Razer Surround. To enable the selection of your headset device in Razer Surround, please connect the headset directly to the Razer Edge tablet. No Audio is heard from the Razer Star Wars: The Old Republic headset with Razer Surround installed. Please ensure that the SWTOR headset is set as the default Playback Device in the Sound menu. Are there any special requirements to install Razer Surround? As Razer Surround is integrated within the Razer Synapse 2.0 application, you will need a Razer Synapse 2.0 account and both Synapse 2.0 and Razer Surround installed in your system in order to utilize this software. Running the Razer Surround installer automatically downloads and installs Razer Synapse 2.0 if the application does not yet exist in your system. Does the type of headphones I use matter? Razer Surround is intended to be used for the calibration of headphones and headsets. Speaker systems are not supported. Please refer to your speaker's own configuration interface (if any) for the setup. How do I uninstall Razer Surround? It's conveniently located in the Windows Programs & Features menu if you wish to uninstall. Does Razer Surround require Internet connection to function? Nope! Once you've installed it initially, you will only need an internet connection if there are future updates of Razer Surround to download. Does my game have to support 5.1 or 7.1 for Razer Surround to work? Razer Surround can only work with sound that the game (or any other files and software with audio tracks) was programmed to produce. To reproduce the compelling audio experience intended by the producers, please make sure your game or software is set to produce 5.1 or 7.1 audio. Can I enable/disable Razer Surround once it's installed? Yes. Go to the Razer Surround Settings tab inside Synapse 2.0 and simply select ON or OFF. As simple as that! How do I setup Razer Surround to work with my favorite headphone? Open Synapse 2.0 and go to Razer Surround tab and select the "ON" option under Razer Surround label. Select your audio interface: this refers to the sound card/hardware/audio device your headphone is plugged into. If you are using a USB Stereo headset, this would be the name of your USB device. Optional: Calibrate your audio setup for an optimal Surround Sound playback. Calibration in Razer Surround can be done manually through the Settings tab or via the "Calibration Wizard" link in the "Surround" tab. Will Razer Surround work if there are other sound processing software active in my system? If more than one(1) sound processing software are active in your system, double processing of audio may affect your listening experience. Hence, please disable all other sound processing software aside from Razer Surround. Will the enhancements and EQ continue to work if Razer Surround is set to OFF? When Razer Surround is turned off, the default device is set back to your current output interface. This means that audio processing through Razer Surround is completely disabled and audio enhancements and equalizer settings are disabled along with it.